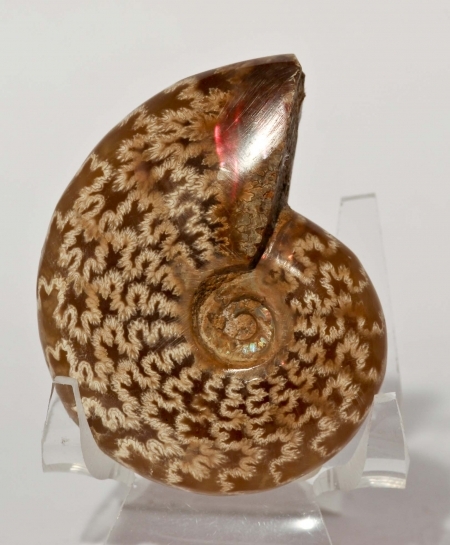 Polished Cleoniceras ammonite from Madagascar, 120 million years old. Very clear sutures and beautiful calcified chambers in honey colour. Some shell remaining with red irridescent flash.